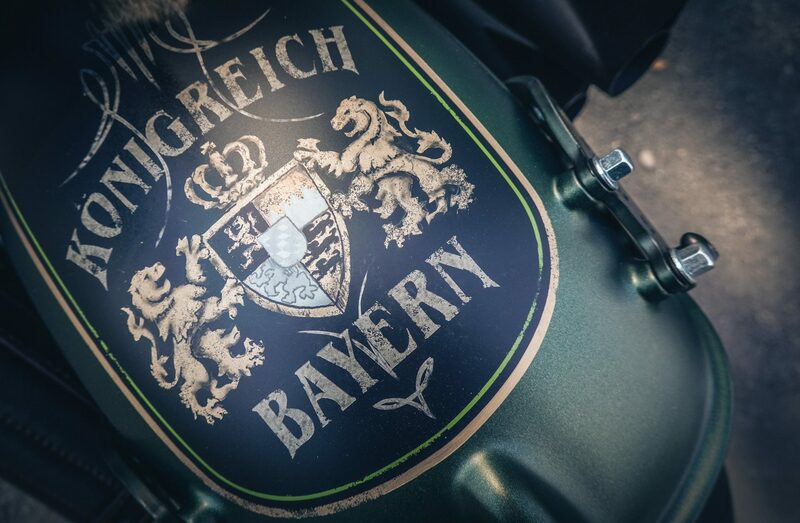 Mia san mia – We are us. 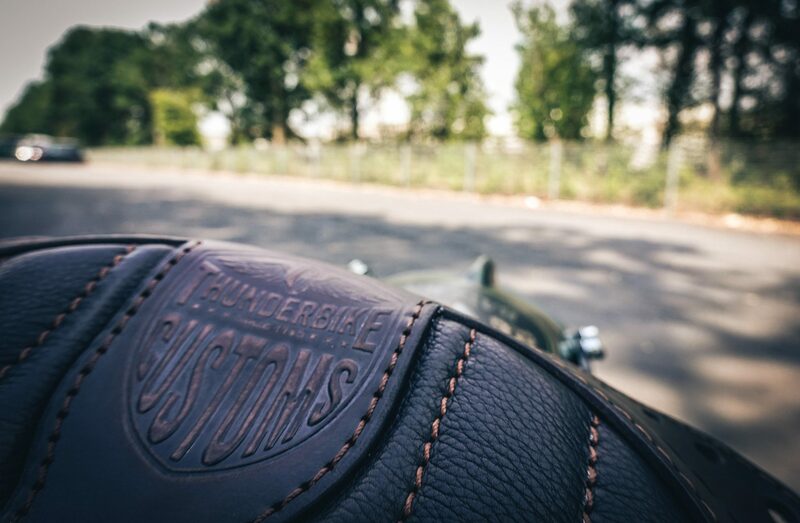 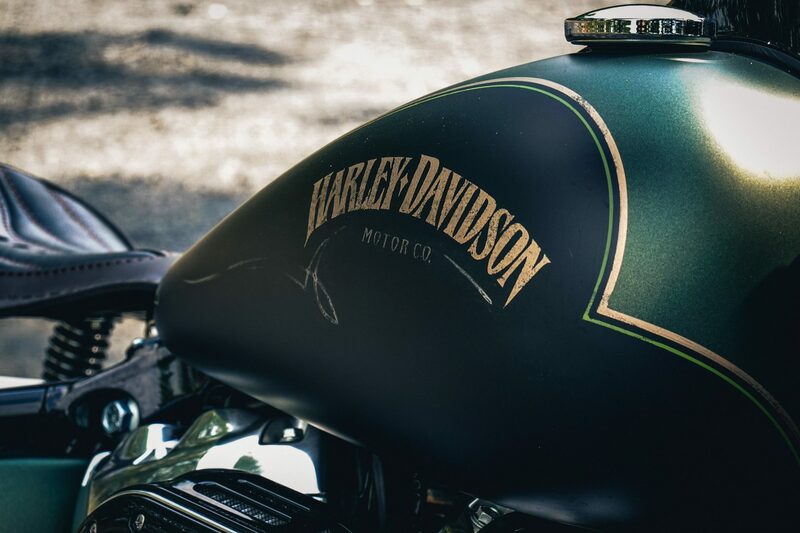 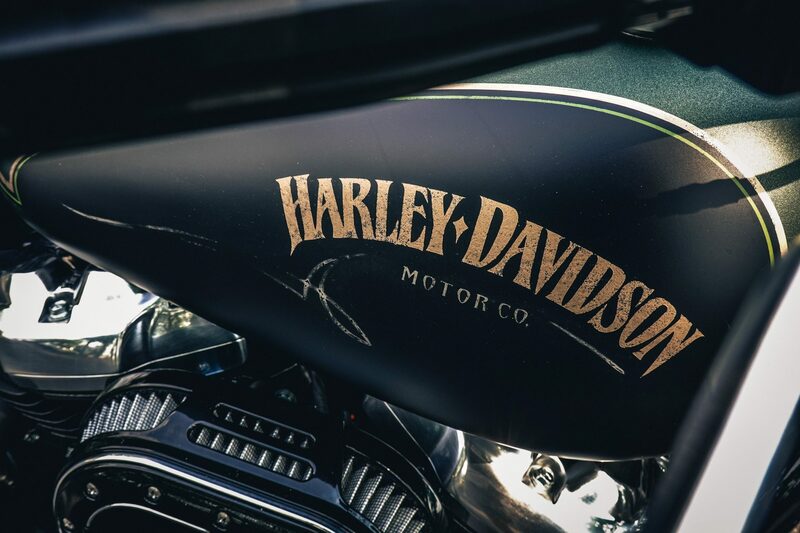 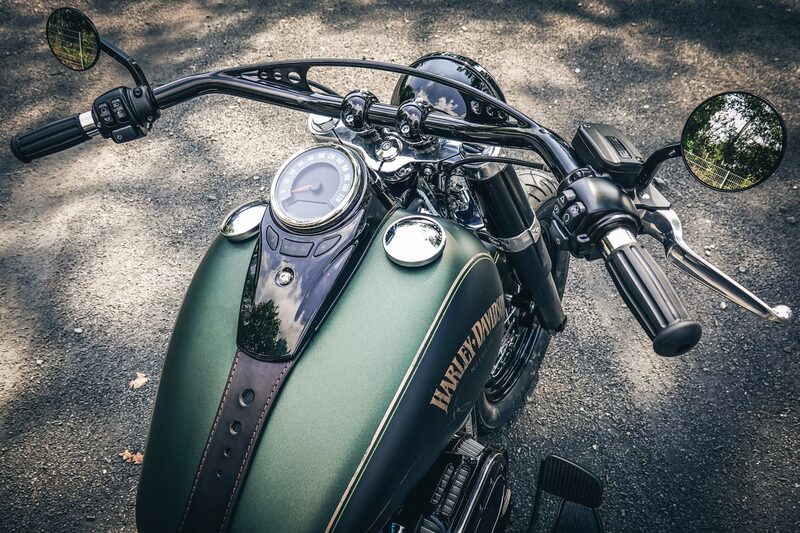 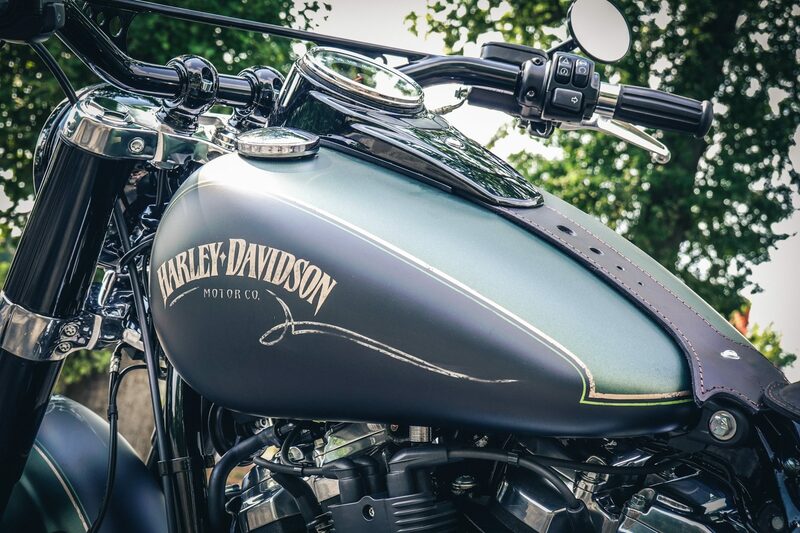 Under this motto, we designed a Harley-Davidson Slim model in Bavarian vintage style for a customer order. 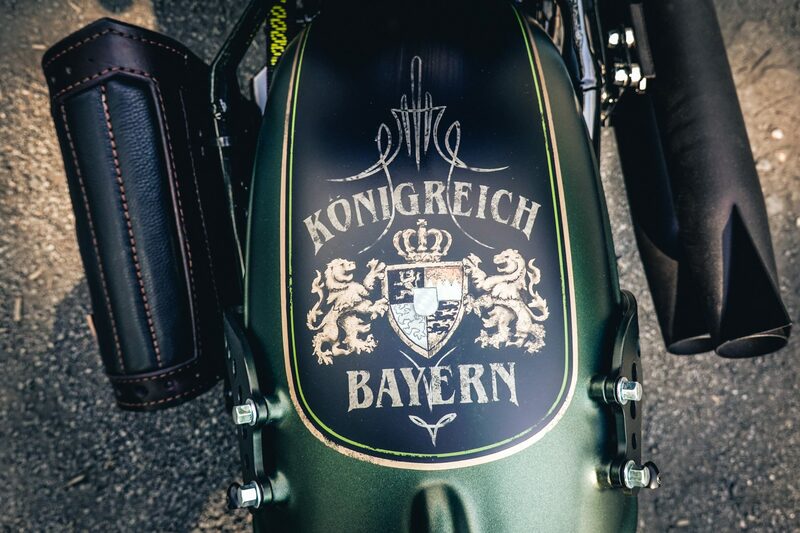 This bike combines the American line with typical Bavarian designs, designed by our painter Ingo Kruse. 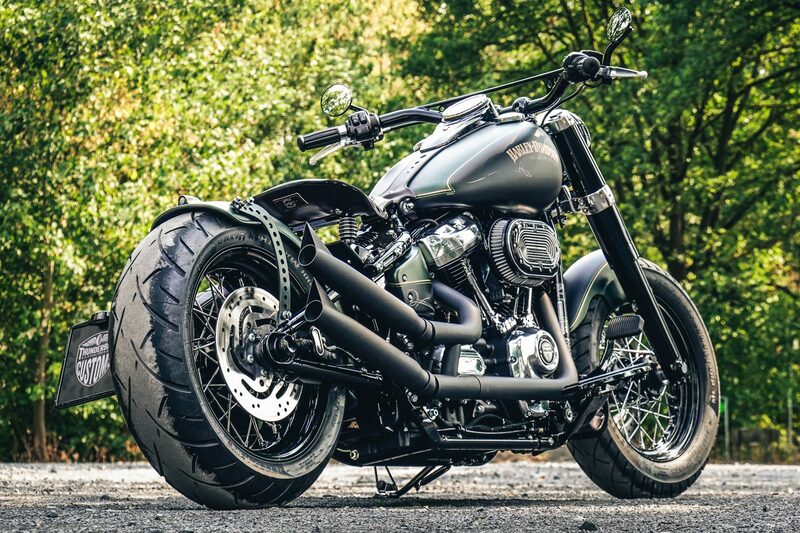 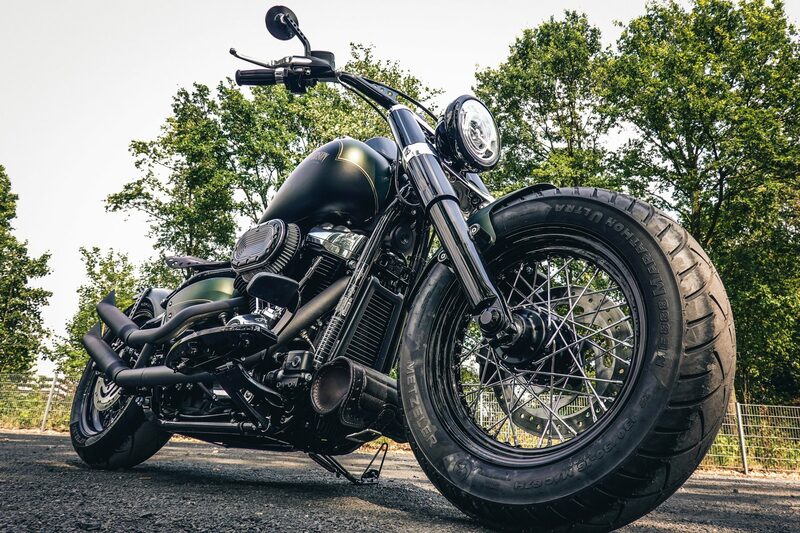 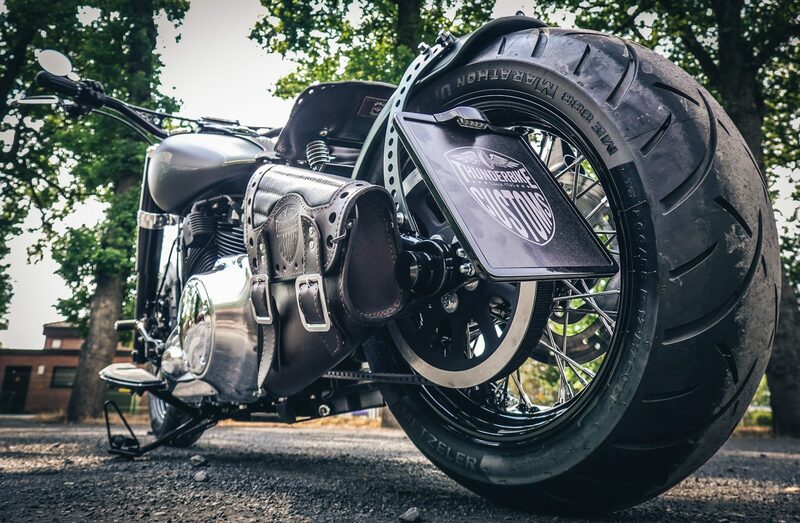 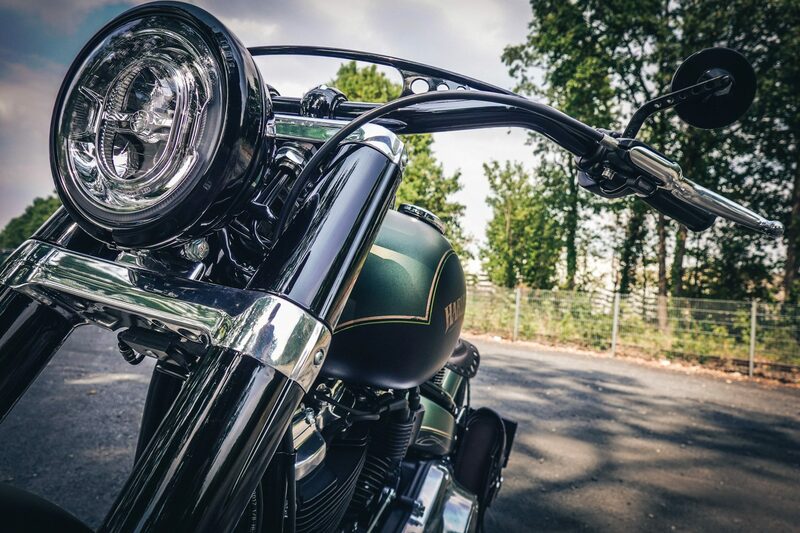 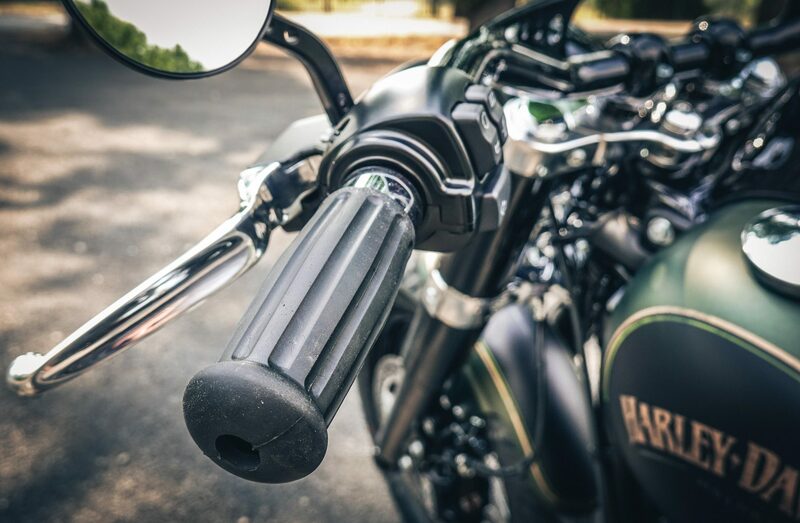 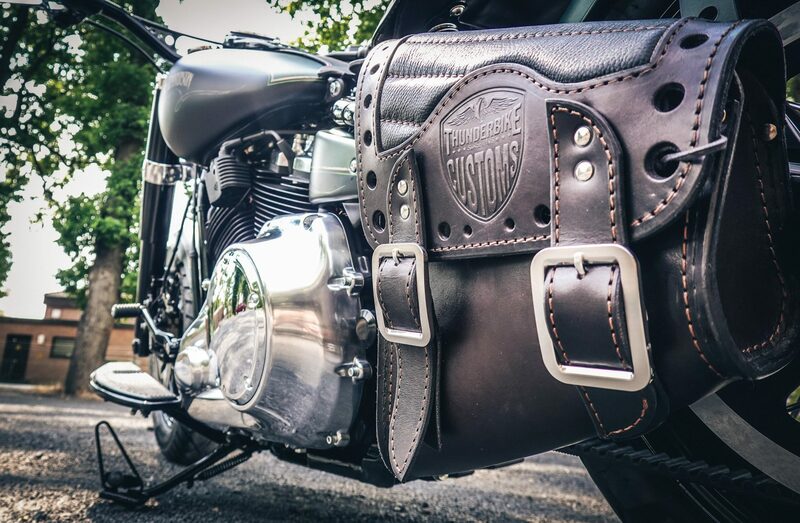 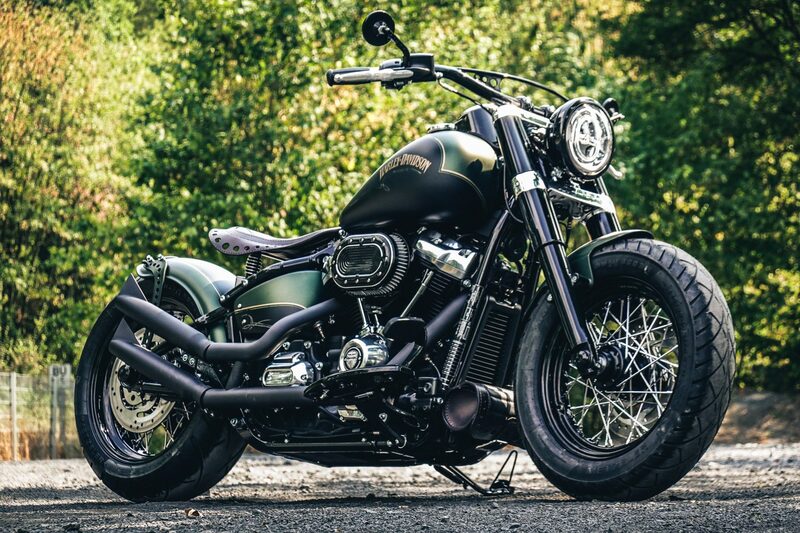 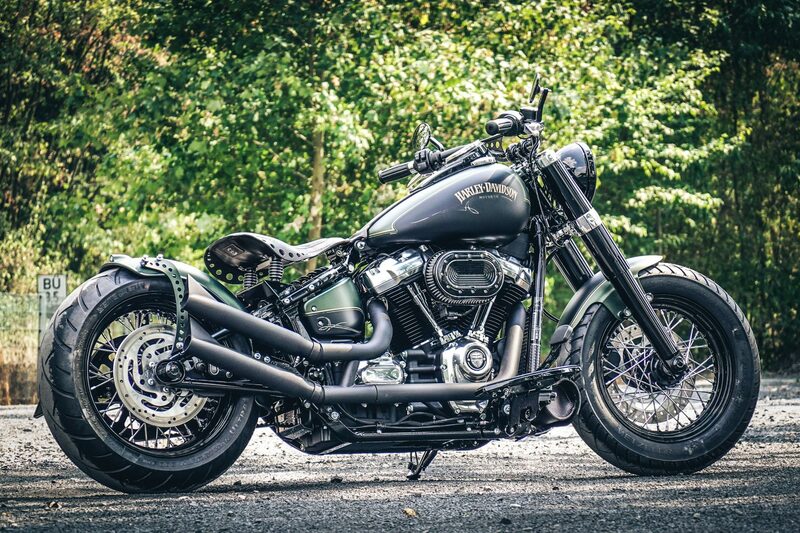 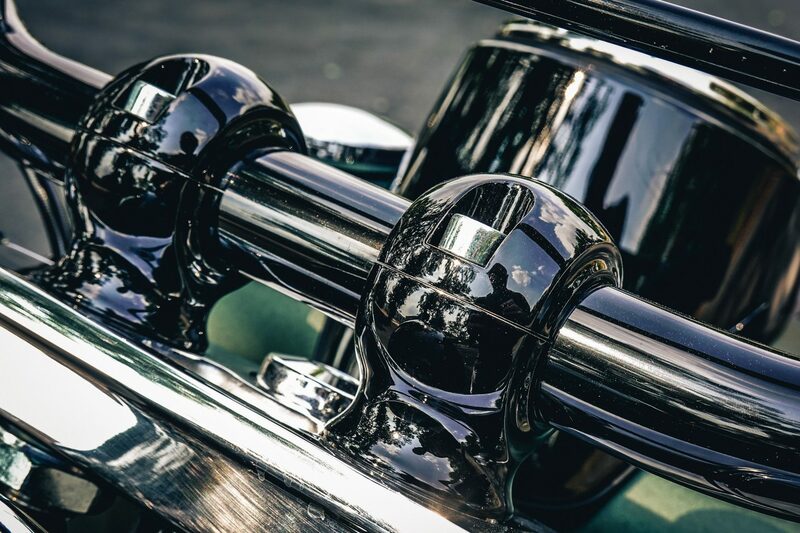 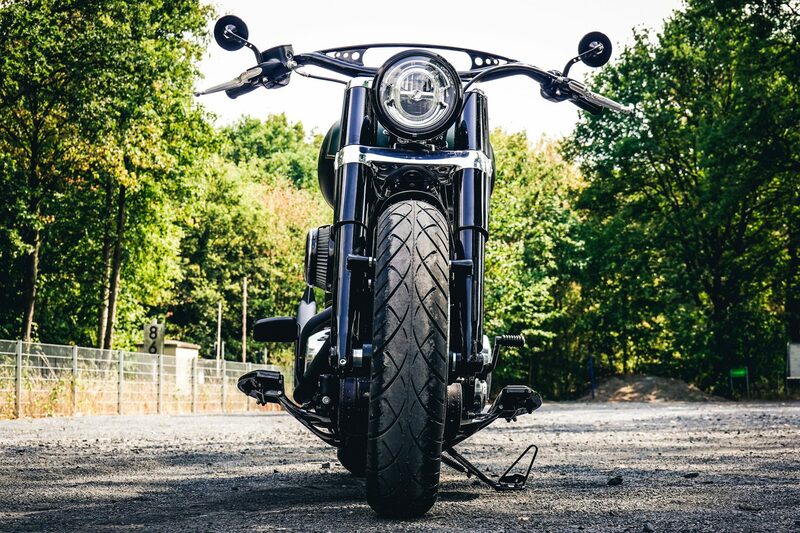 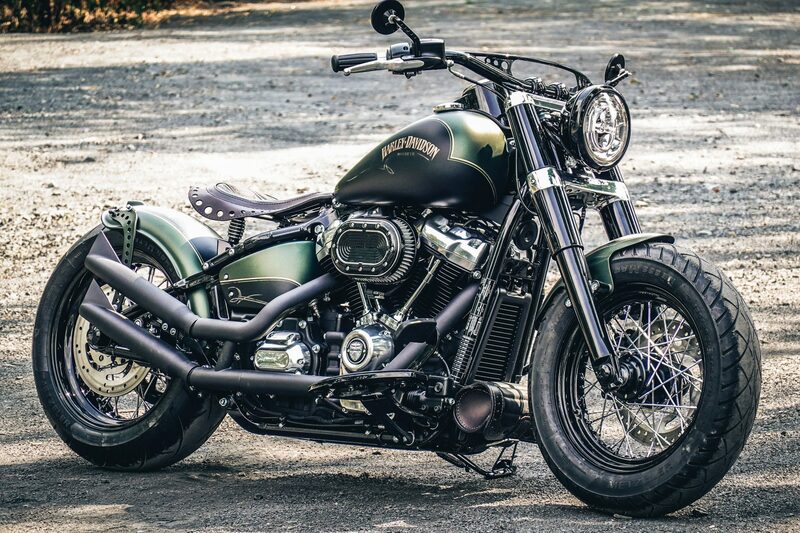 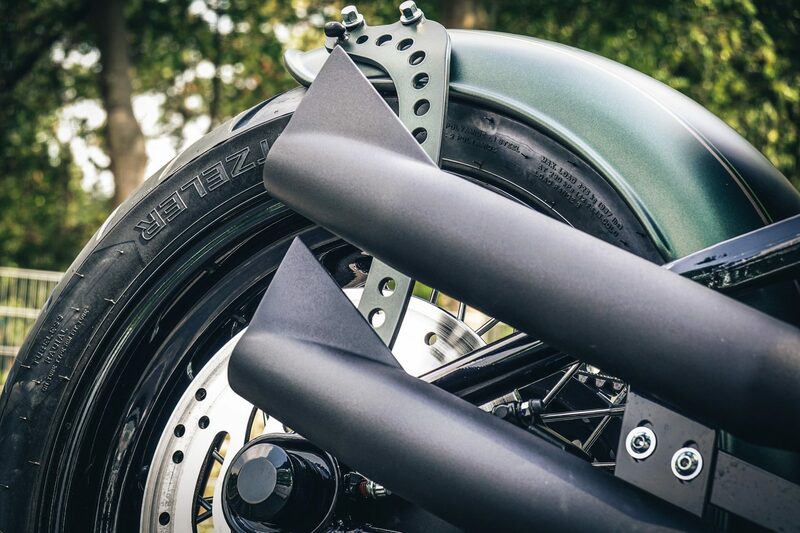 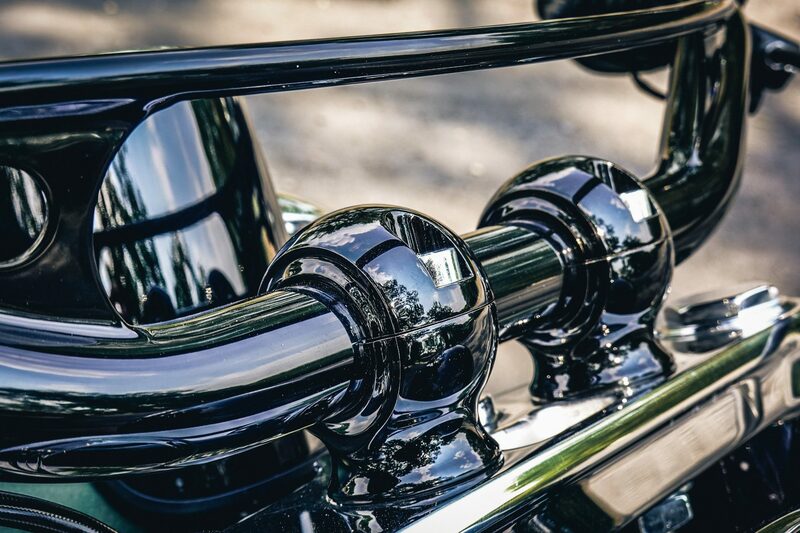 The rear fender is made by us in house and reflects earlier HD models with a rigid mounted fender without missing out on modern day suspension and comfort. 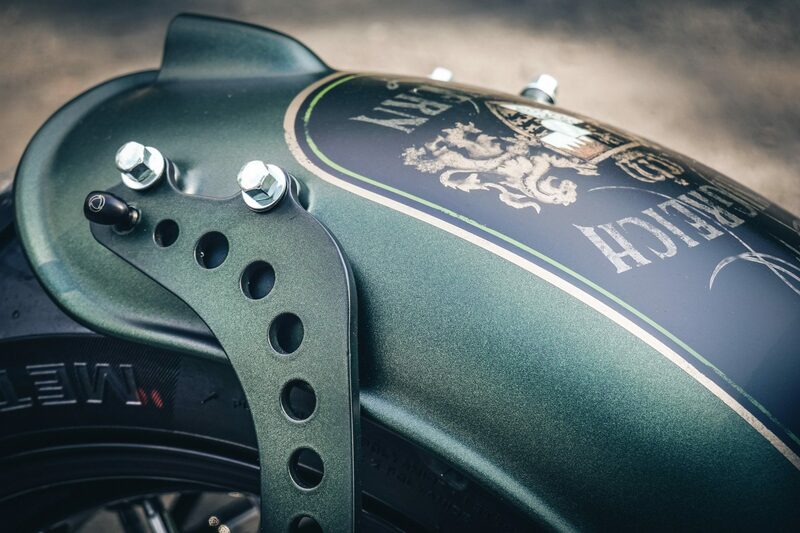 The lion in the crest on the rear fender makes the animal roar! 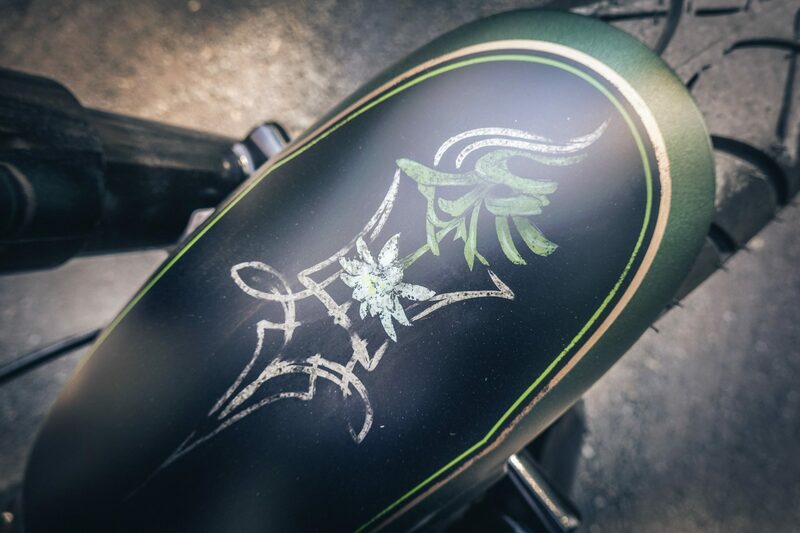 For courage, loyalty and community is the typical Edelweiss graphics on the Thunderbike Recall front fender. 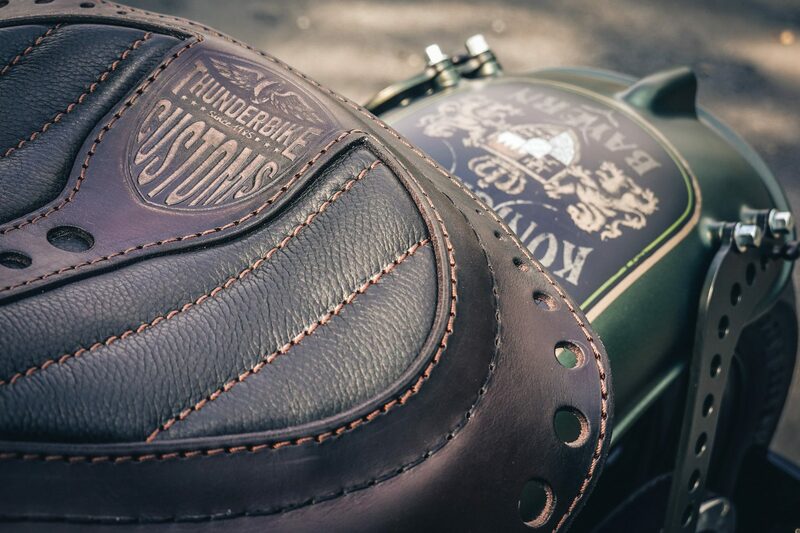 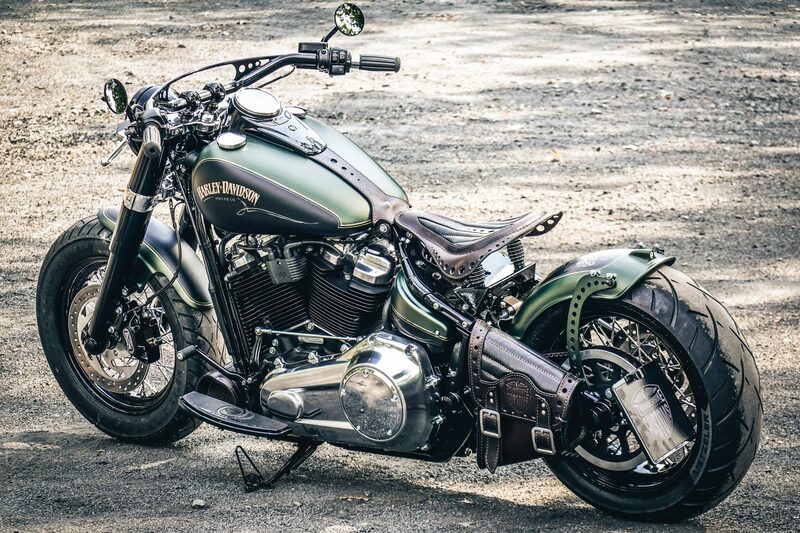 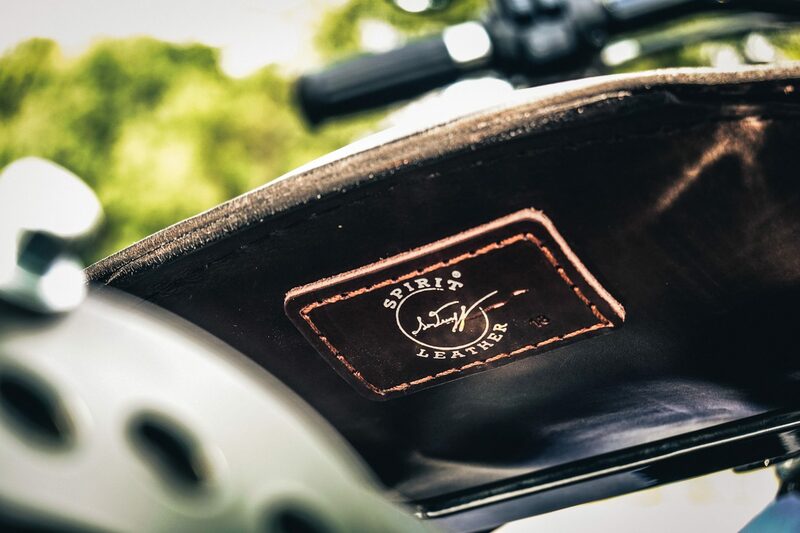 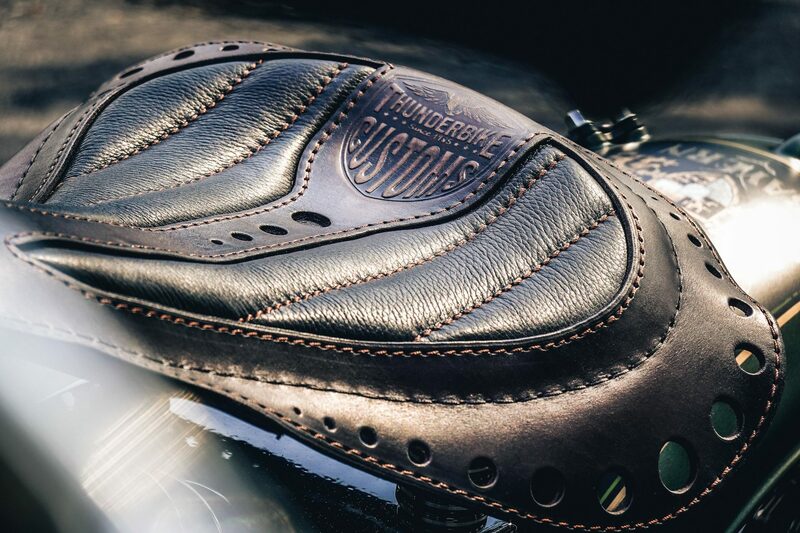 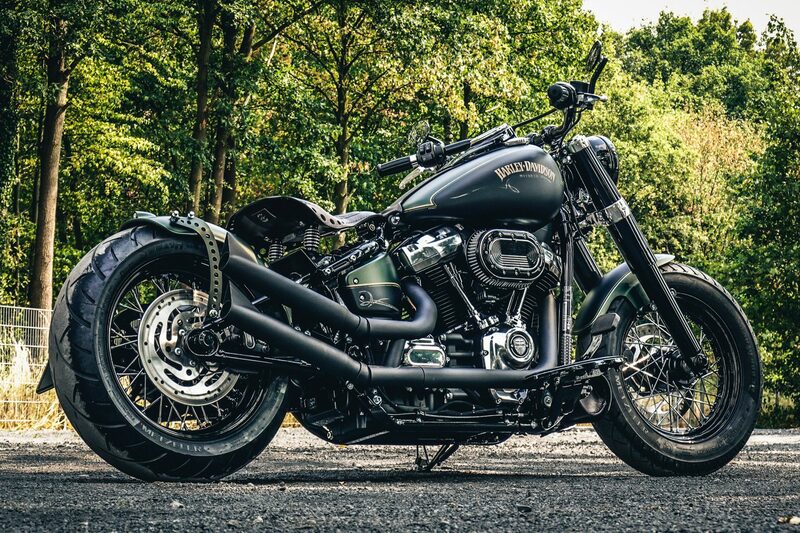 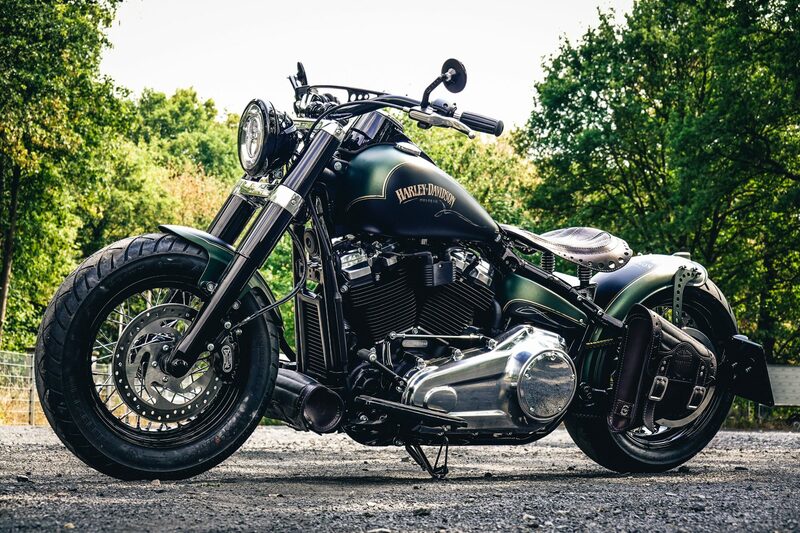 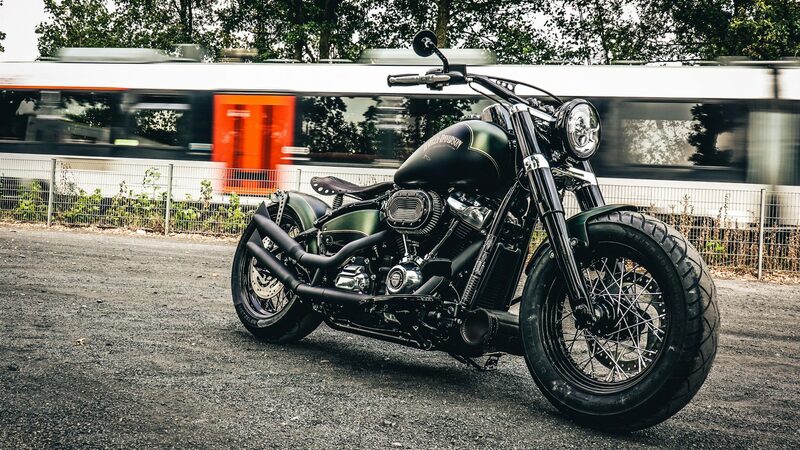 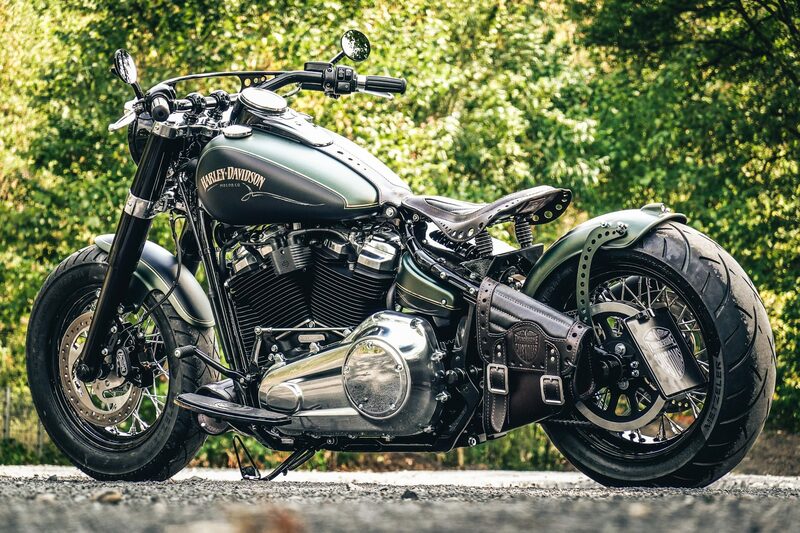 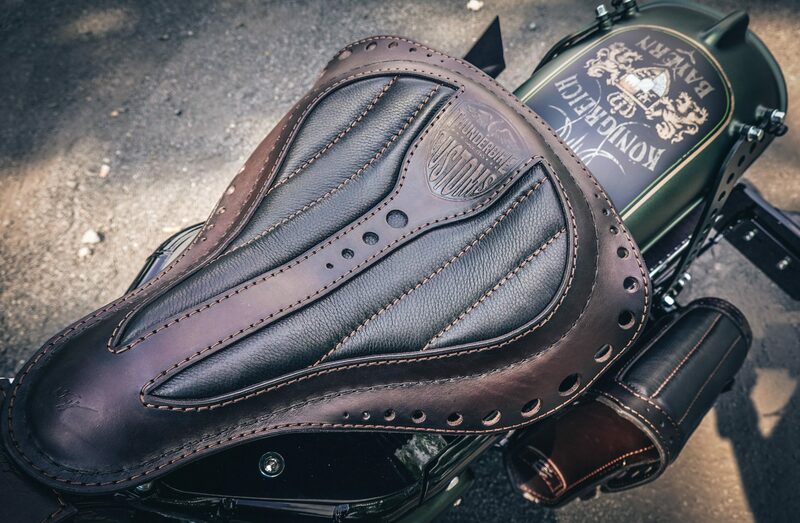 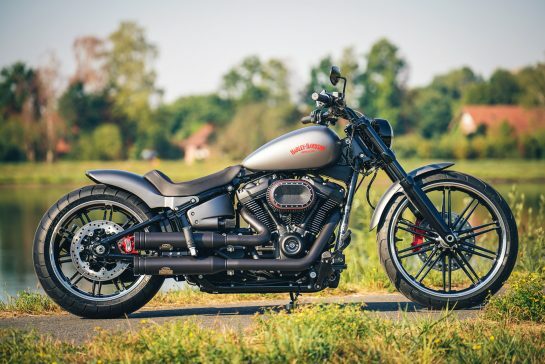 For the Bobber style in the Thunderbike style provides the Hollywood handlebar, the Upswept Fishtails and the handmade swinging saddle, which was made by Spirit Leather. 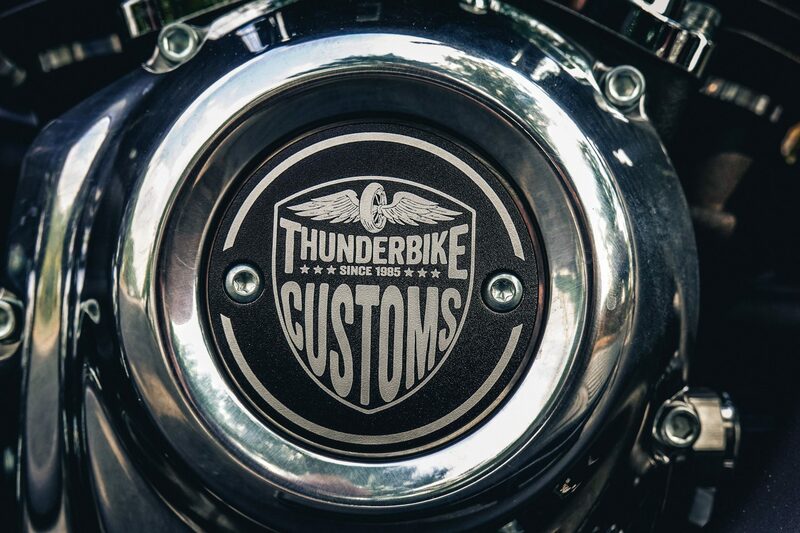 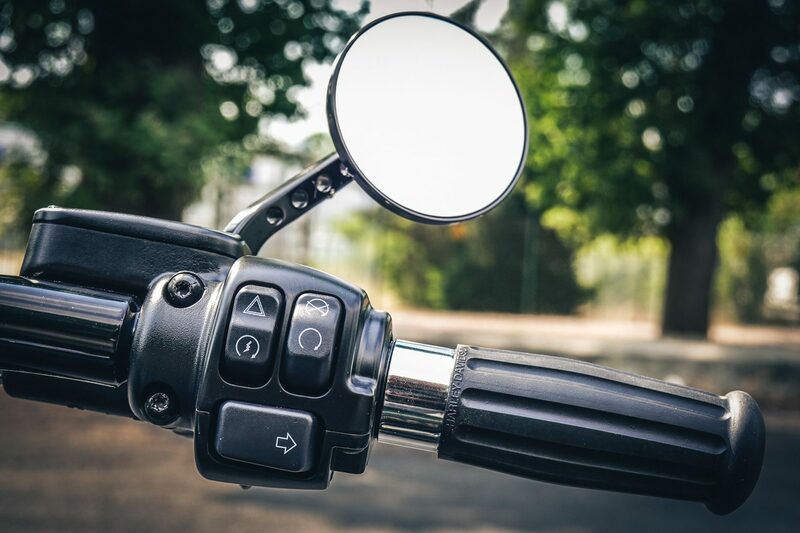 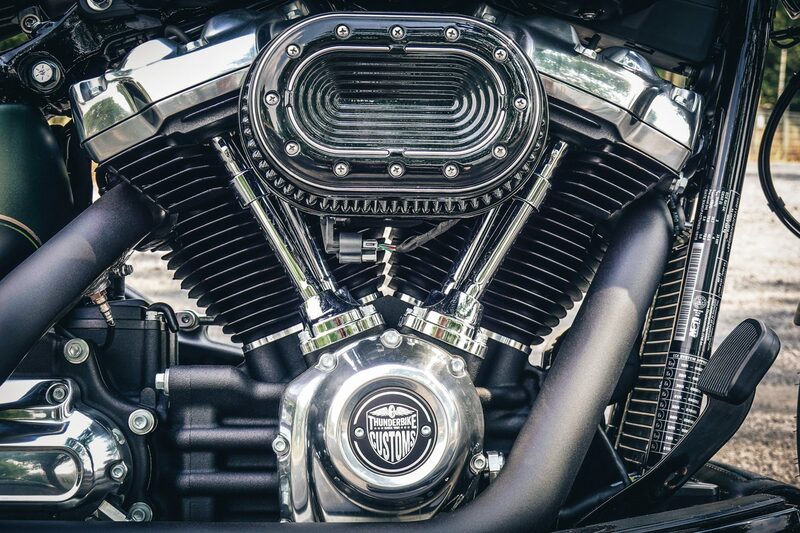 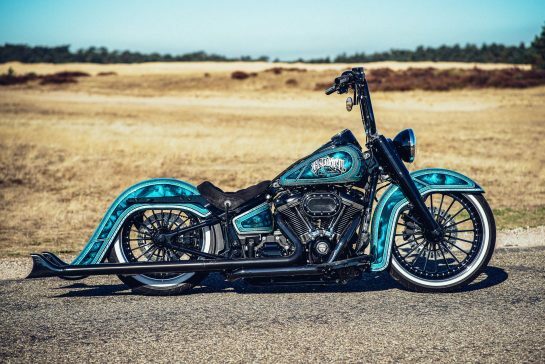 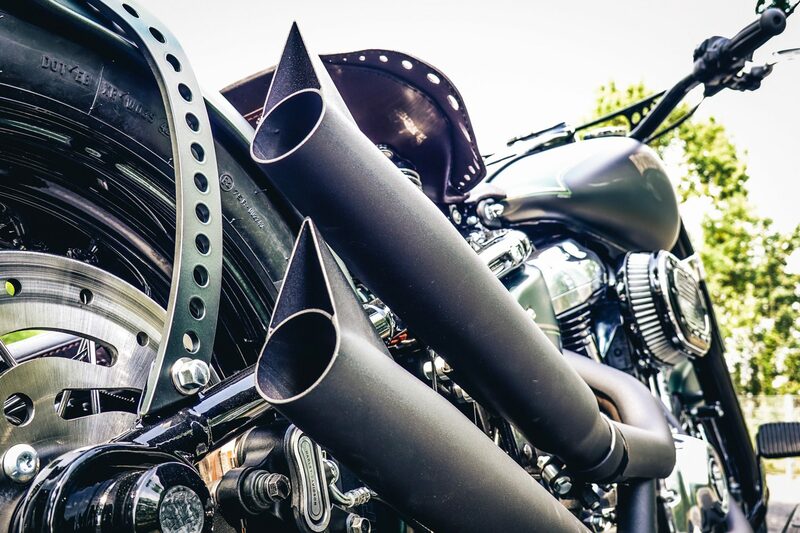 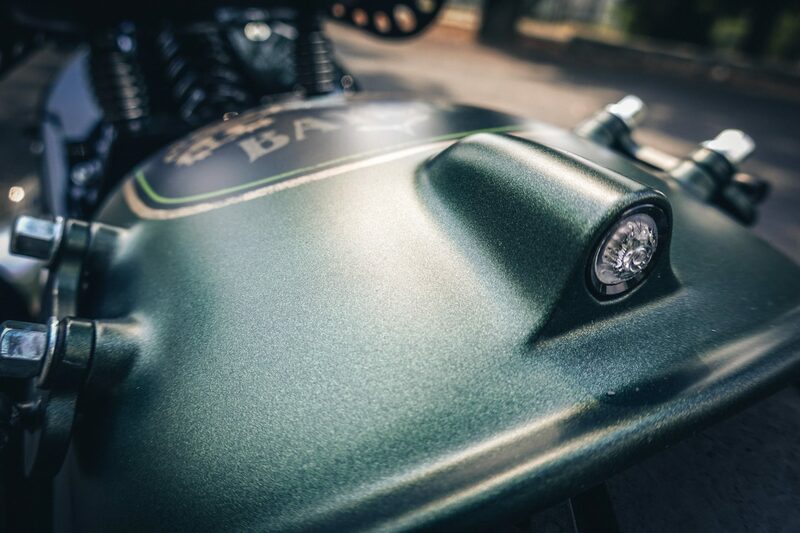 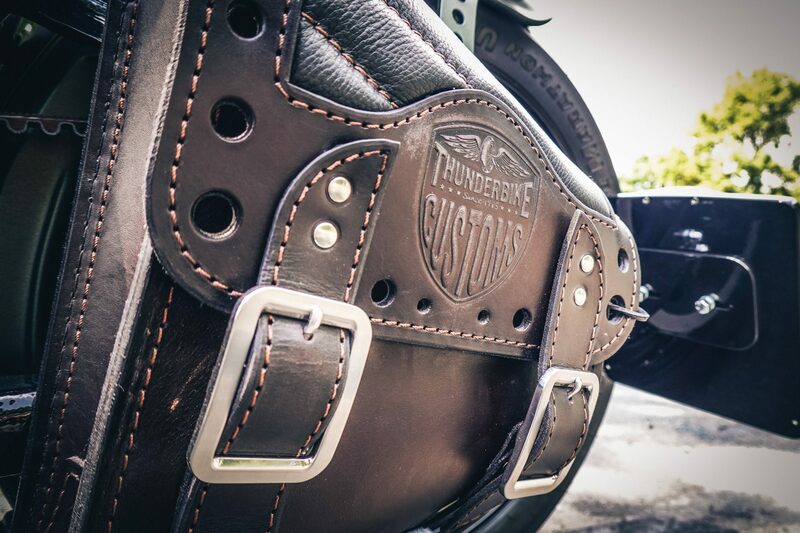 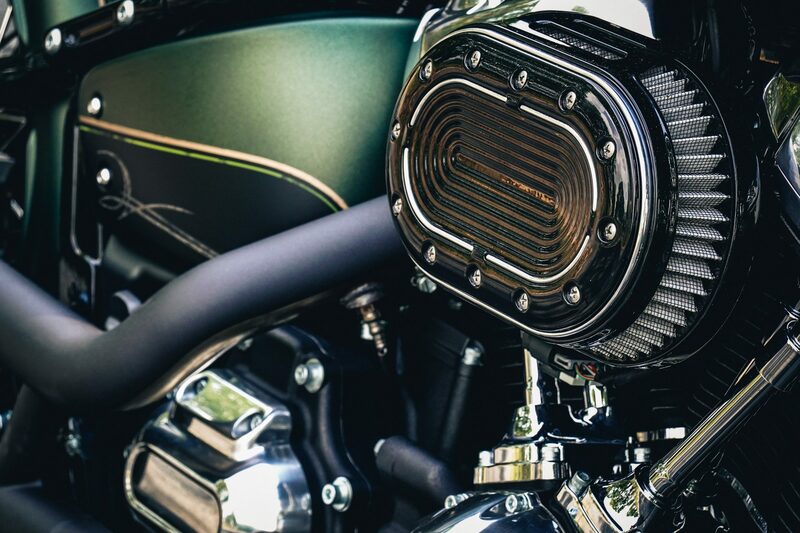 Of course, parts such as the Thunderbike ignition cover in New Custom Design, the side license plate holder with license plate inside plate and license plate lighting are also part of such a project. 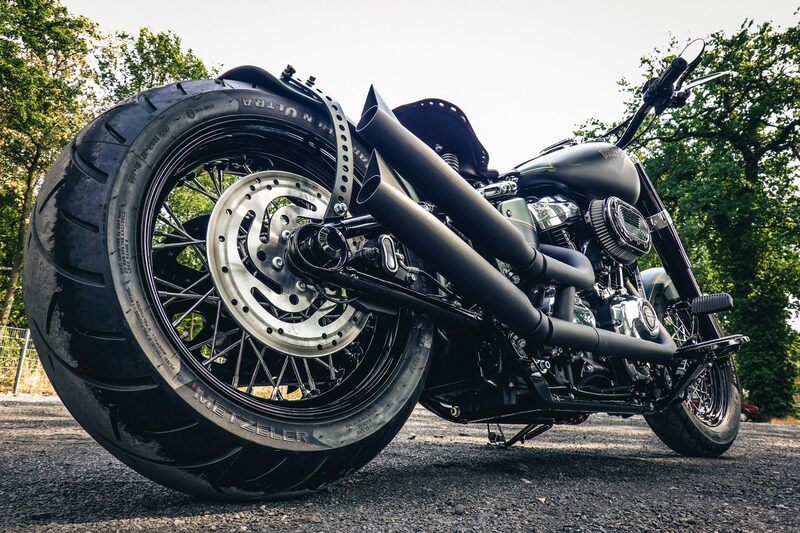 More parts you can, as usual, see our parts list! 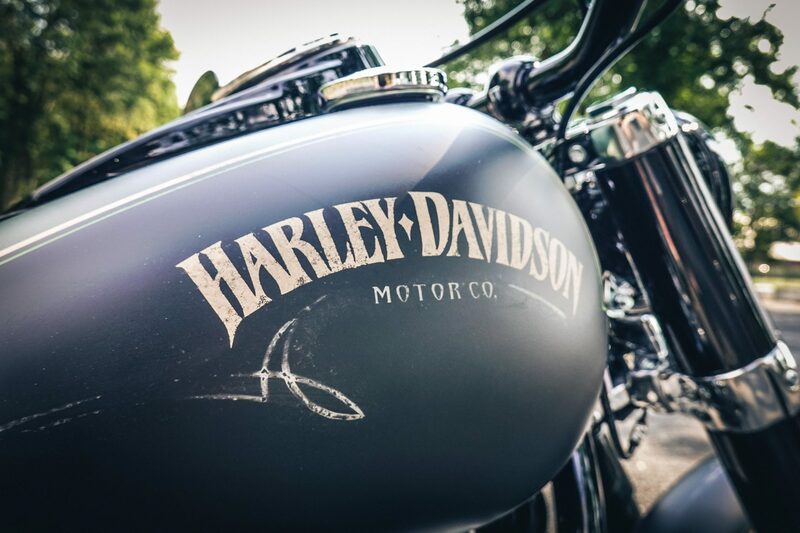 We wish the customer a good journey!